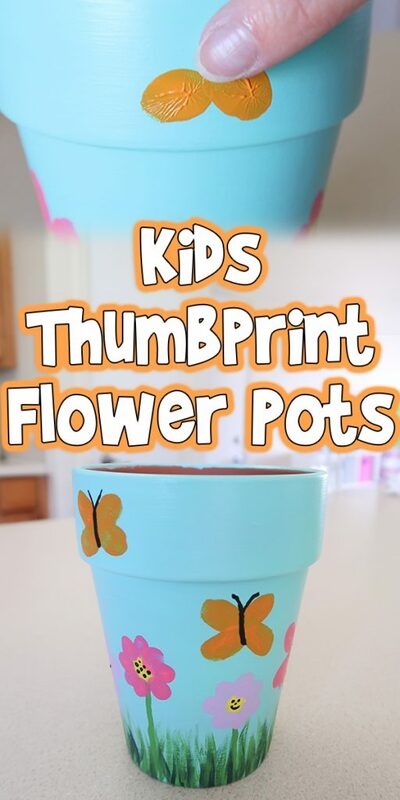 Let’s make these adorable Kids Thumbprint Flower Pots today! 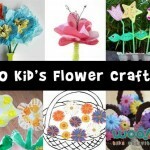 I think these are the perfect craft for artistic kids, and make amazing gifts for family as well. Here’s what you’ll need. 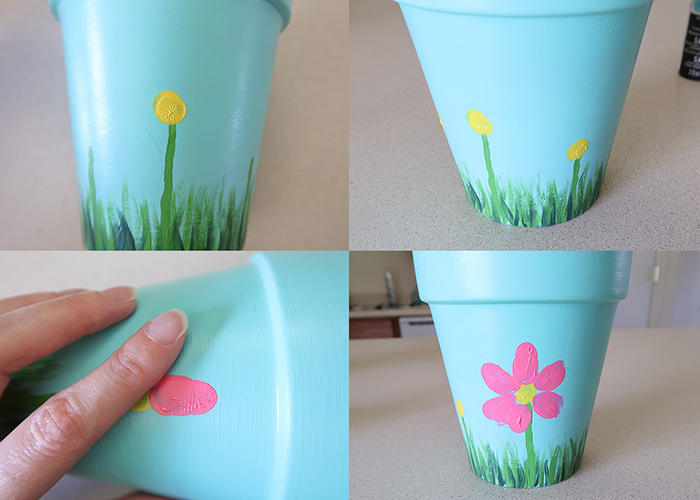 Plain flower pot. 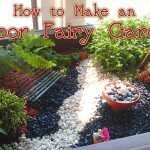 I prefer the inexpensive terra cotta ones for this project. You don’t want anything glazed or slippery. A variety of craft paints. Note: a small paint palette is very helpful for this project. I found mine for $2 at Michael’s. Start by mixing a light blue paint color. I just took a pool blue shade and added some white to make a pretty sky blue. 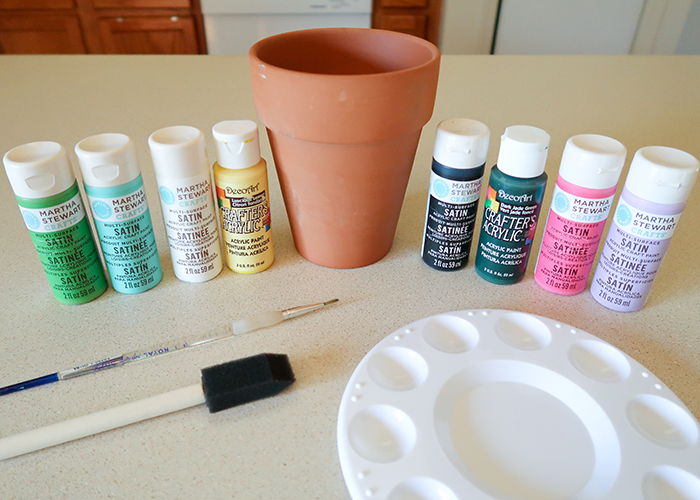 So ahead and paint your entire pot with this color, letting it dry about an hour in between coats. It took about 3 coats to get the pot this opaque, and I ended up using a brush for the final coat for a smoother finish than the foam brush was giving. 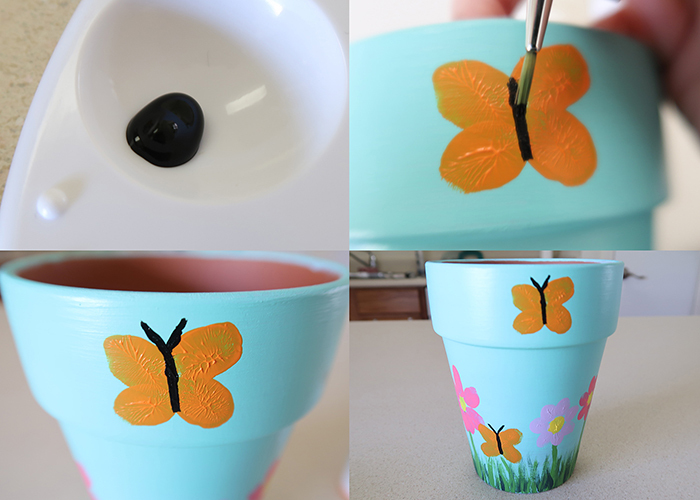 When your final coat had dried for 2 hours, you’re ready to start decorating your pot. 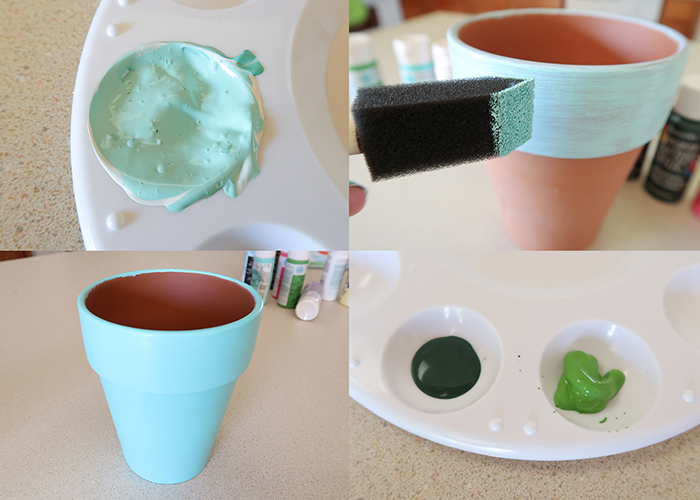 Grab or mix up at least two shades of green paint. 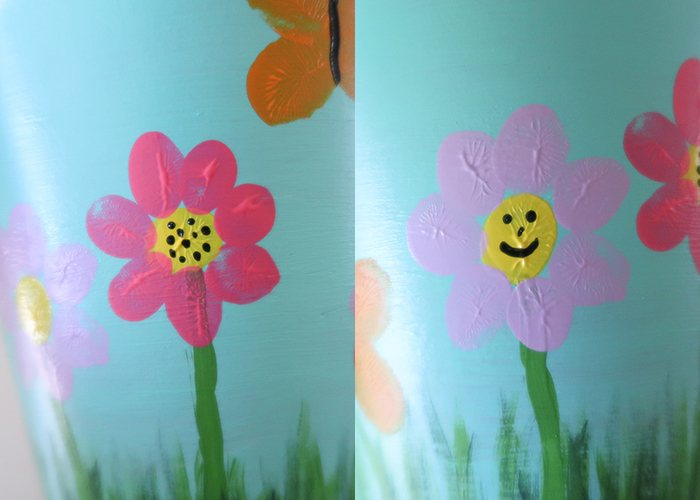 Using your detail brush, start by painting a long flower stem. Then add several short stalks of grass around it. Next you’ll take a darker or lighter green and add more stalks in. 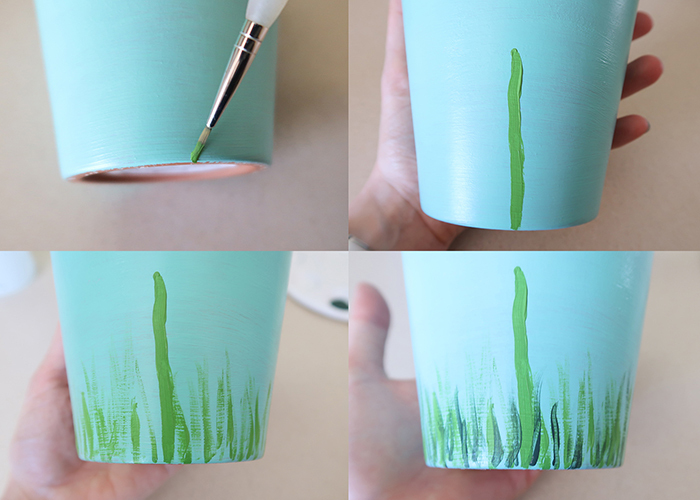 The more you layer and use different shades, the more it will look like real grass. 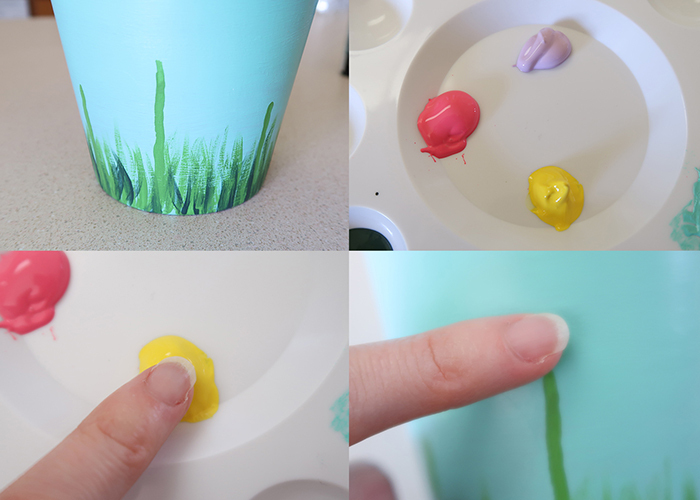 Go around the base of your whole pot, adding different sized flower stems and make sure to have lots of grass all the way around the base of your pot. Next, you’re going to make the center of the flowers. Put a little yellow paint down, and dip your child’s finger into it, making sure to dab it off once or twice. Then press it on the top of one of the flower stems. How cute! Now make the rest of your flower centers, and let them dry completely before we move on to the next step. 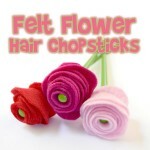 For the next step, you’re just doing the same thing we did for the flower centers, but making petals instead! 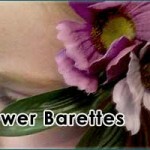 Use whatever colors you’d like for your petals, and feel free to use different fingers for different sized flowers. 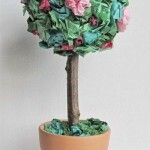 Go ahead and make all of your flowers, and then let them dry. Now it’s time to make butterflies. Make four finger or thumbprints like shown, all touching in the center. 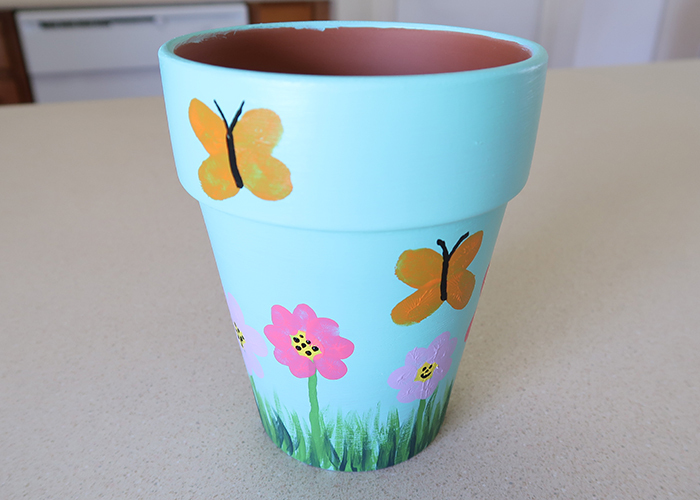 I suggest making several butterflies on your pot, because butterflies do love flowers. Give all your butterflies time to dry. Now we’re going to take some black paint and that thin detail brush again, and paint on the butterflies bodies and antennae. You can leave your flowers as is, or you can go ahead and add polka dot seeds or even cute smiley faces to your flowers. And you’re all done! 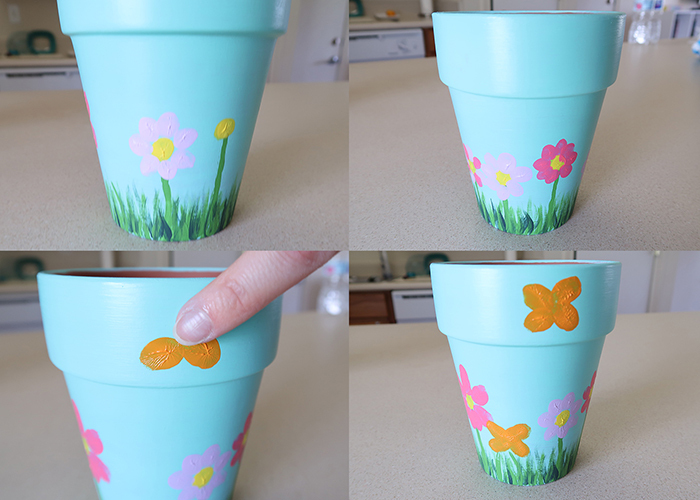 I hope you enjoyed making these cute Kids Thumbprint Flower Pots with me! 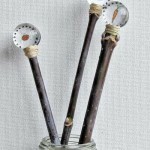 You can either plant flowers in them, or if you’re like me and aren’t skilled with plants, you can use these as pencil holders or even fill them with flower seeds, gifts cards, or other goodies and give it as a gift to someone special!